A six-time Academy Award nominee, Glenn Close made her feature film debut in George Roy Hill’s THE WORLD ACCORDING TO GARP, earning her first Academy Award nomination. She was subsequently Oscar-nominated for THE BIG CHILL, THE NATURAL, FATAL ATTRACTION, DANGEROUS LIAISONS and ALBERT NOBBS. For her riveting portrayal of high-stakes litigator Patty Hewes in the critically acclaimed television series DAMAGES, Close won two consecutive Emmys as “Best Actress in a Drama Series”. Close’s twelve Golden Globe nominations include a Best Actress win for Andrei Konchalovsky’s adaptation of THE LION IN WINTER. Close is also a multi-awarded theatre and Broadway performer. 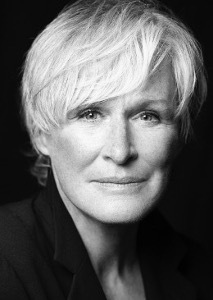 In 2009, Glenn Close co-founded Bring Change 2 Mind, a charity dedicated to confronting, head-on, the stigma and discrimination associated with mental illness by empowering people to start the conversation. Her latest work THE WIFE screens within ZFF’s Gala Premieres. 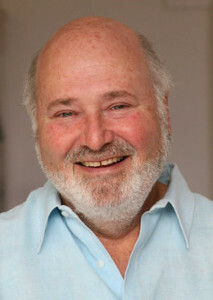 Two-time Emmy award winner Rob Reiner first came to fame as an actor on the landmark television series ALL IN THE FAMILY. He went on to become an acclaimed director of some of the most popular and influential motion pictures of the last 35 years. From THIS IS SPINAL TAP, STAND BY ME, THE PRINCESS BRIDE and WHEN HARRY MET SALLY..., to MISERY, A FEW GOOD MEN, THE AMERICAN PRESIDENT, GHOSTS OF MISSISSIPPI, THE BUCKET LIST and LBJ, Reiner has shown versatility in tackling different genres. His latest film, SHOCK AND AWE, chronicles the work of four journalists from Knight Ridder news who were virtually alone in reporting the truth behind the Bush Administration’s justifications for invading Iraq in 2003. Reiner and his wife, Michele, were founding members of the American Foundation for Equal Rights. 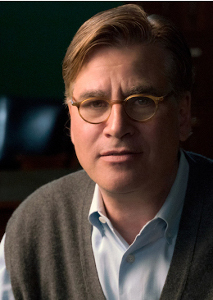 The Academy Award-winning screenwriter and renowned playwright Aaron Sorkin made his Broadway playwriting debut with ‘A Few Good Men’. In 1993, Mr. Sorkin’s film adaptation of A FEW GOOD MEN was nominated for four Academy Awards. In 2011, he won the Academy Award for ‘Best Adapted Screenplay’ for THE SOCIAL NETWORK. In 2012, his adaptation of MONEYBALL was nominated for eight Academy Awards including ‘Best Adapted Screenplay’. In 2016 his work on STEVE JOBS brought a Golden Globe award for “Best Screenplay”. For television, Mr. Sorkin created and produced the NBC series THE WEST WING. It went on to win a total of 26 Emmy Awards. Other series created by Sorkin include SPORTS NIGHT for ABC and HBO drama THE NEWSROOM. His directorial debut MOLLY’S GAME (screening within Gala Premieres section) is based on the true story of Molly Bloom. 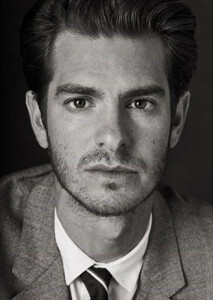 Andrew Garfield is an Academy Award nominated actor who captivates global audiences with his transformative performances spanning feature films and notable theatre productions. This fall, Garfield stars in Andy Serkis’ drama BREATHE. In 2016, Garfield appeared on screen in Mel Gibson’s Academy Award-nominated World War II epic, HACKSAW RIDGE. Additional film credits include: Martin Scorsese’s SILENCE, Marc Webb’s THE AMAZING SPIDER-MAN and THE AMAZING SPIDER-MAN 2, Ramin Bahrani’s 99 HOMES, David Fincher’s THE SOCIAL NETWORK and Spike Jonze’s I’M HERE. Garfield made his Broadway debut in 2012 in the revival of Arthur Miller’s Pulitzer Prize-winning play DEATH OF A SALESMAN, directed by Mike Nichols. Jake Gyllenhaal has established himself as one of the finest actors of his generation, along the way working with some of Hollywood’s greatest filmmakers on both independent and studio films. For his role in Ang Lee’s BROKEBACK MOUNTAIN, Gyllenhaal received an Academy Award nomination. In 2014 Gyllenhaal starred in Dan Gilroy’s NIGHTCRAWLER (which he also produced). His further credits include David Ayer’s END OF WATCH, Denis Villeneuve’s PRISONERS, Ed Zwick’s LOVE & OTHER DRUGS, Tom Ford’s NOCTURNAL ANIMALS and Bong Joon-ho’s OKJA. At ZFF, Gyllenhaal will present his latest work STRONGER. In 2014 Gyllenhaal made his Broadway debut in Nick Payne’s ‘Constellations’ and his musical-theater debut in the Encores! production of ‘Little Shop of Horrors.’ With his new production company, Nine Stories, Gyllenhaal is also on his way to becoming a filmmaker of note.